Click the video for a quick look inside! You have to see it to believe it! 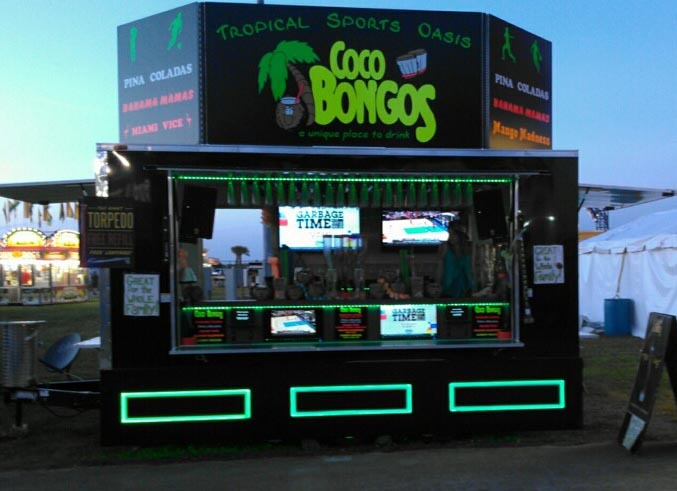 This State of the art unit is not just a vending location but an attraction. 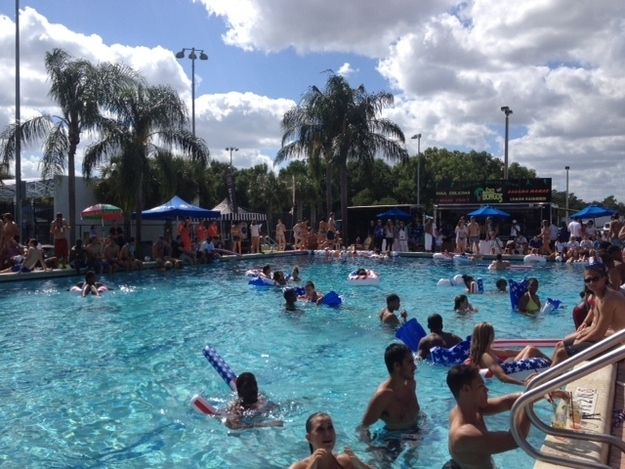 Features include: (6) - Satellite driven Flat Screens playing the latest in sports, A sound sytstem that fills the air with Island tunes, A Laser Light Show, Dancing Waters, (a one of a kind water feature), Fiber Optic lighting and sports Memorabilia. 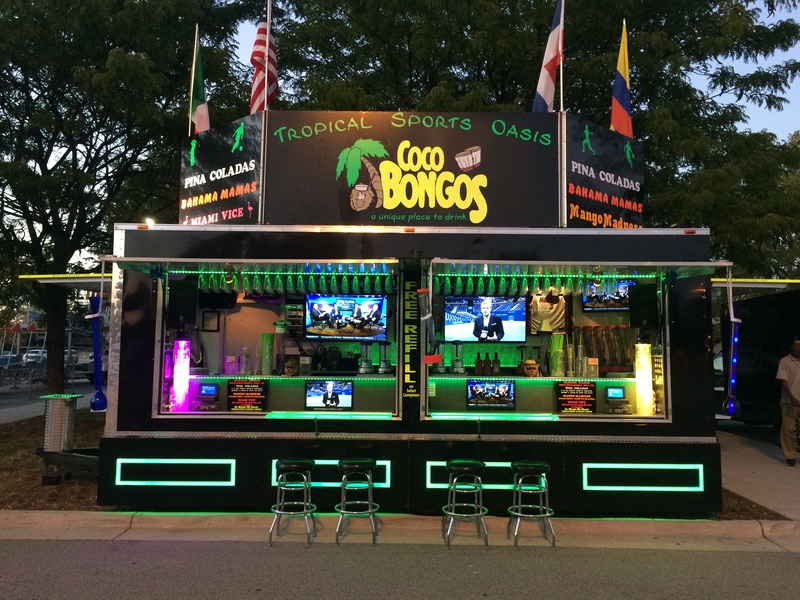 Our Mobile Sports Bar will be a great experience at your event for teens and adults alike. 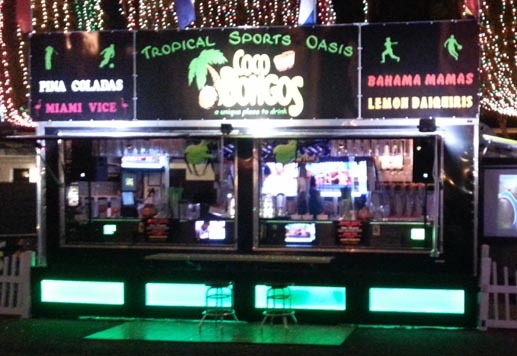 We serve our famous Frozen Drinks both with Booze and non Alcoholic depending upon the event. The unit is also available to rent for a VIP area at your event or the center of Entertainment at your next Corporate or Private Party. Don't settle for a wedding D.J. 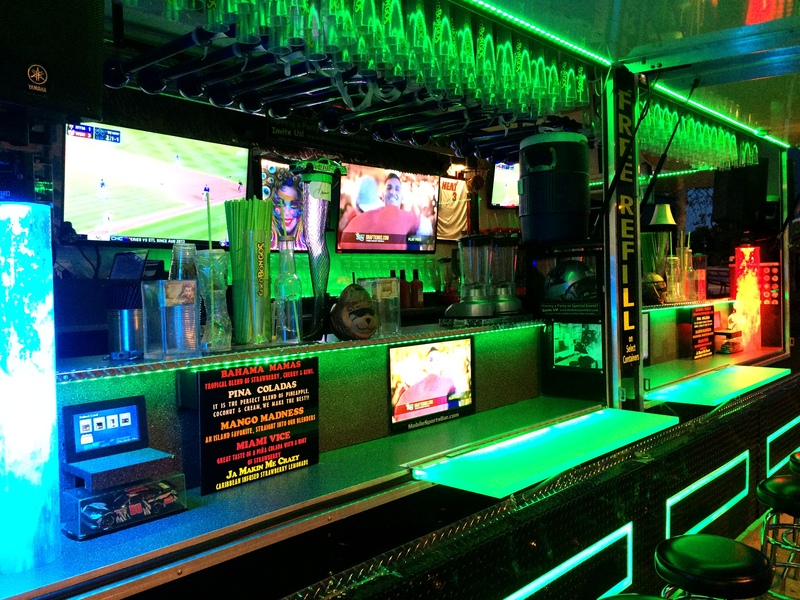 with a disco ball when you can have our Mobile Sports Bar. See below to get a quote for your next event. 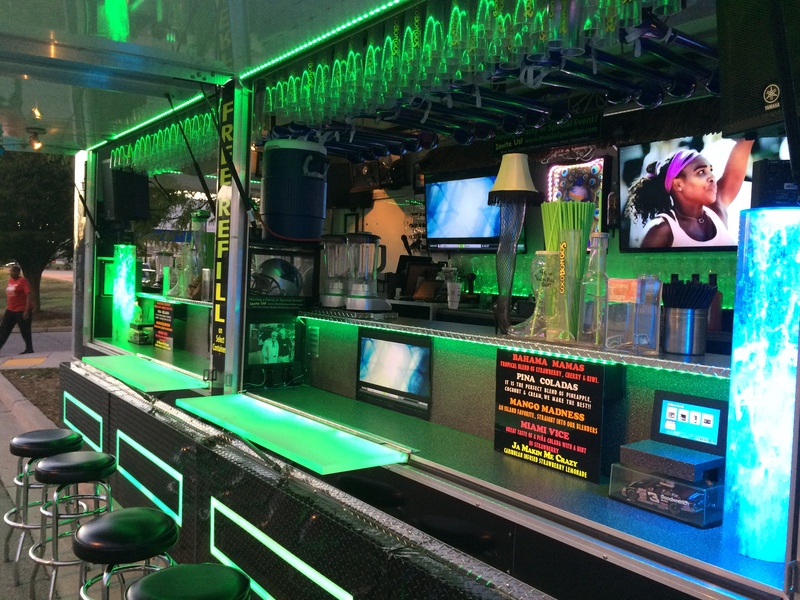 Don't have another party without having our Mobile Sports Bar as the center of the action!